For the LED and panel industry, the year of 2018 had a dramatic start with Samsung’s revealing of its Micro LED TV “The Wall” at the CES show. Since then, players in the industry have been releasing their achievements related to the next generation display technology. Several innovative solutions and applications have been disclosed in the past year including large size displays and wearable devices. As LEDinside has continued to track the progress of Micro LED development, we would like to list the significant breakthroughs and industry updates of Micro LED in 2018. The display sector has always been the battlefield where the two Korean electronic giants, Samsung and LG, compete with each other. After showcasing “The Wall” in January, Samsung announced in July that it would begin the commercial production of its Micro LED displays and release them in 3Q18. The displays are for commercial and home entertainment use targeting the high-end market in the U.S. and Middle East initially. 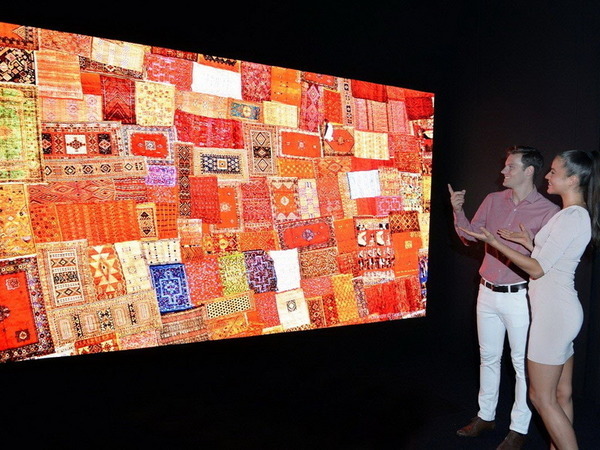 To keep up with the Micro LED trend, LG unveiled a 173-inch Micro LED display module at IFA trade show in Berlin, Germany. However, the company did not release any further details about related products. Equipped with a wide range of advanced LED and display technologies, Taiwanese LED producers and panel makers have revealed their achievement with Micro LED display development at different international trade shows in the past year. At the Display Week in May, AUO exhibited an 8-inch TFT driven Micro LED display with high solution. Jasper Display Corp. (JDC) provided its silicon backplane for Swedish glō to demonstrate the high brightness Micro LED display designed for portable and wearable devices. Also, Play Nitride showed two transparent small size Micro LED displays. The company then adopted RGB full color display technology to perform wide color gamut with RGB Micro LEDs at SEMICON Taiwan 2018. 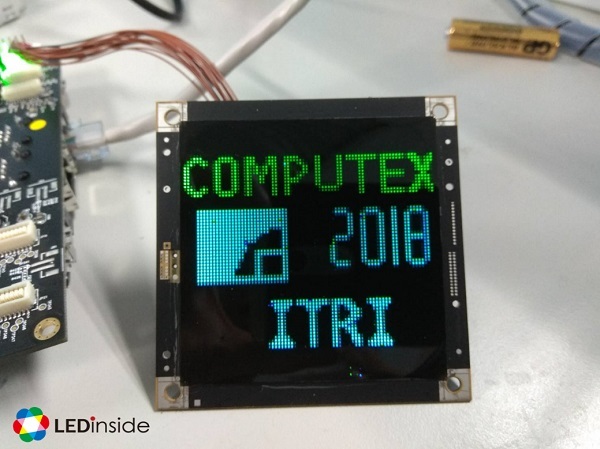 By June, at Computex Taipei 2018, ITRI together with Macroblock, Unimicron and Play Nitride developed a Micro LED signage module which directly transfers Micro LED chips on PCB substrates. Before the display show Touch Taiwan, LED vertical integration manufacturer Lextar announced the launch of Micro LED chips with a size smaller than 20 µm. The company then showcased two different Micro LED chip solutions for display applications at Touch Taiwan 2018. Innolux, a member of the Foxconn Group, has set up a Micro LED business unit to focus on the development of Micro LED technologies. Foxconn had acquired eLux and Epiled to accelerate its development of the technology. During the end of August, it was said that Apple had secretly visited Epistar and AUO, the Taiwan-based LED maker and panel producer, to talk about potential partnerships regarding Micro LED display development. Since 2017, there was news about Apple setting up a secret Micro LED lab in Taiwan for Apple watch and collaborating with TSMC and AUO in developing Micro LED technology. However, the rumored next generation Micro LED Apple Watch did not show up this year. On the other hand, Apple has applied patents related to Micro LED display in the second half of 2018, according to Patenly Apple. One patent was about head-mounted displays involving engineers from AUO and LuxVue, the startup company Apple acquired in 2014 for Micro LED technology development. The other patent was related to integrated holographic technology. These two patents are believed to support Micro LED displays for wearable devices. In September, automotive components supplier Magna and Micro LED startup Rohinni have set up a joint venture, Magna Rohinni Automotive, for Micro LED lighting solutions for vehicles. The joint venture integrating Rohinni’s Micro LED lighting technology and Magna’s electronics and software expertise is expected to pave the way for Micro LED and Mini LED automotive lighting applications. In Japan, a UV LED company Nitride Semiconductors announced the establishment of its subsidiary, Micro Nitride, for enhancing the development and production of Micro UV LED chips targeting display applications. The company adopts Micro UV LED with RGB phosphor to solve the difficulties of full color for Micro LED displays. Canada-based Micro LED startup VueReal has closed the Series A funding of US$10.5 million by March and received Canadian government fund by October. After the introduction of a 4K Micro LED display with 6000 ppi in 2017, VueReal has continued to develop its Micro LED display technology and begun its cooperation with Veeco for advanced solutions for Micro LED display production. UK’s Plessey announced that it is going to demonstrate AR and VR smart glasses powered by Micro LEDs at CES 2019. The company has cooperated with smart glasses technology provider Vuzix, silicon backplane supplier Jasper Display and system developers AIXTRON and EV Group for the development of monolithic Micro LED display based on GaN-on-Silicon. The wearable devices adopting Plessey’s Micro LED display will be the first thing to expect for 2019.